When I was in college, I worked at several restaurants, but by far one of my most favorite was a dinner house called the Four Winds. It was originally a steak house, but as time went on it transformed into a more casual menu at lunch and with the sandwiches we served a slaw that we made fresh daily. Best as I can remember this is the closest version to it and it is soooooooooooooooooo good! Whisk together the mayonnaise, salt, pepper, vinegar and sugar until well blended. In a large bowl toss together the cabbages, celery and carrots. 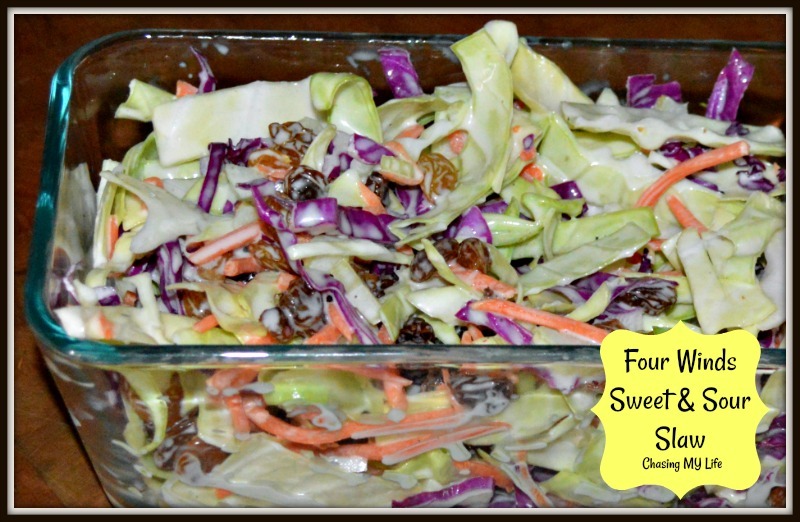 Pour mayonnaise mixture over cabbage mixture, sprinkle with caraway seeds and toss until well coated. Adjust salt, pepper, sugar and vinegar to your personal tastes. Cover and chill several hours before serving.